Kim first stepped into a hot yoga studio after hearing testimonies from several other athletic friends. Reluctant that it would be a “workout,” Kim was surprised at the physical and mental challenges it posed, and was captivated by the way such a challenge also calmed the mind. She discovered Sumits Yoga while living in Phoenix, Arizona and, along with her husband, Aaron, they developed a passion to bring it to the Kansas City Area. A fitness enthusiast, Kim has a background in martial arts and has enjoyed training for different races, including triathlons. Kim enjoys the low impact routine that Sumits brings, which has helped to bring healing to her ankle and prevent knee pain. Kim is most excited about the inspirational class because it opens the door to connect with God. 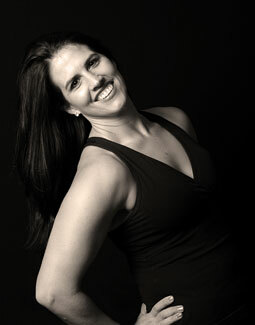 Kim is a Certified Personal Trainer and Registered Yoga Teacher. She enjoys helping others to reach their fitness goals.